Sandwiched for centuries between rival powerhouses China and Japan; sometimes peacefully trading with them and at other times occupied and subjugated by one or the other, Korea has fiercely held onto its unique culture and its language, music, design, and food – while adopting and adapting interesting and useful concepts and recipes. As Korea takes a more prominent role on the world’s stage, and as flight options from North America increase, more and more families are coming to visit – and eat! 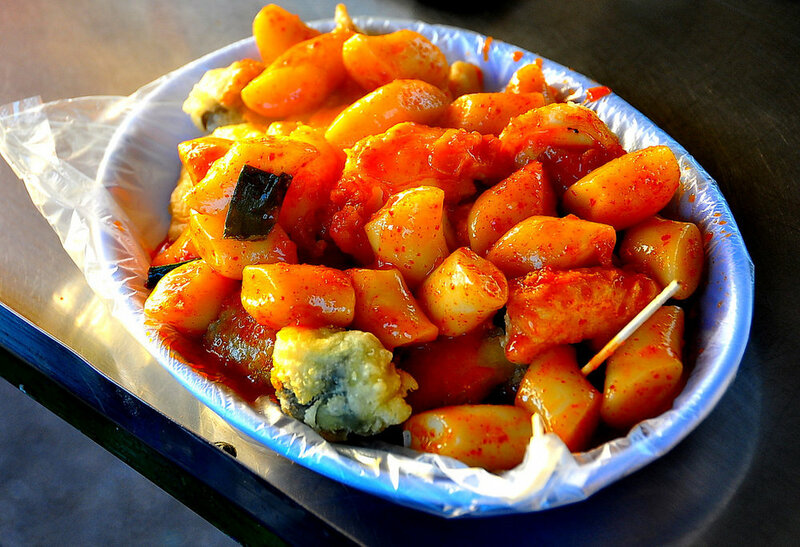 While Korean dishes have clear influences from both of its neighbors – such as noodles and dumplings from northern China, and seafood preparations from Japan – its own traditions of pickling and using spices to preserve food have led to flavors and textures unique to Northeast Asia. 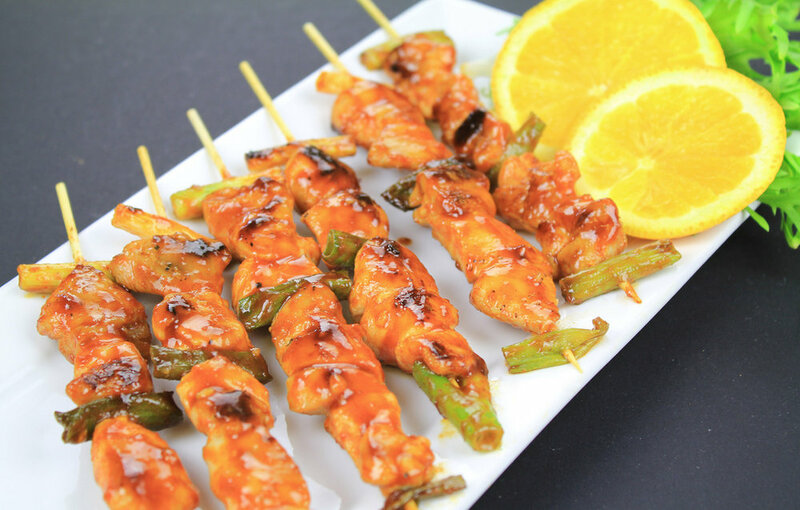 And the competitive landscape of family restaurants and street food vendors have led to a brisk evolution of new dishes to try. Do your kids enjoy eating meat? Do they like backyard barbecues? Then they'll be in luck in Korea! 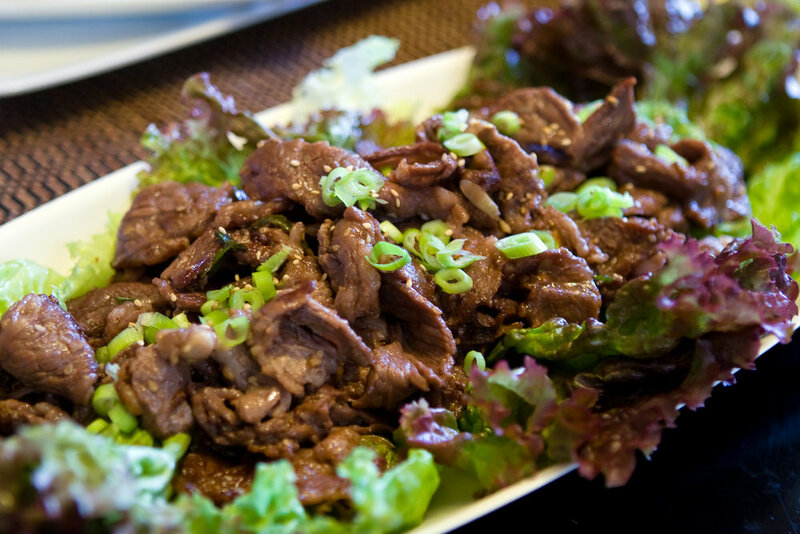 These thin strips of beef are marinated in sweet soy sauce, sesame oil, and garlic and cooked quickly on the grill. Great by itself or in salads and noodle dishes, but some restaurants are even working it into burgers! Take that same marinade for bulgogi and put pork or beef ribs in it - let it get happy for several hours - and then put them on a charcoal or gas grill to get tender on the inside and crispy on the outside. Some restaurants even have little grills right at your table! 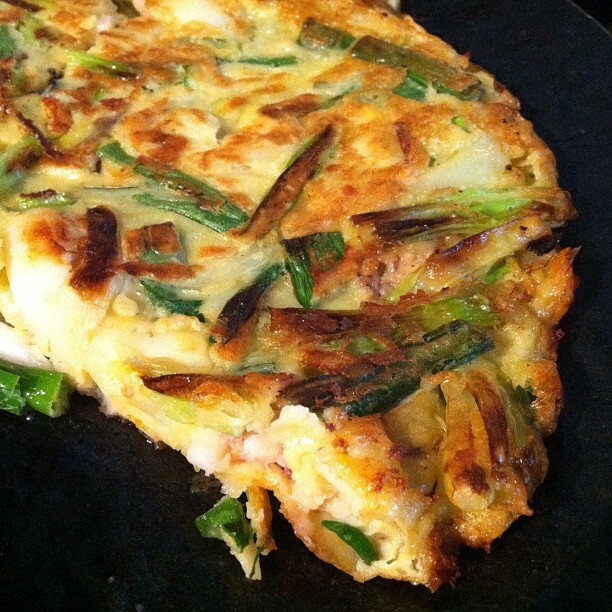 This eggy plate-sized griddled pancake is packed full of scallions and seafood - kind of like paella but more crunchy-chewy. Nearly every culture has its own dumpling recipe, and they're always a sure kid-pleasing choice. 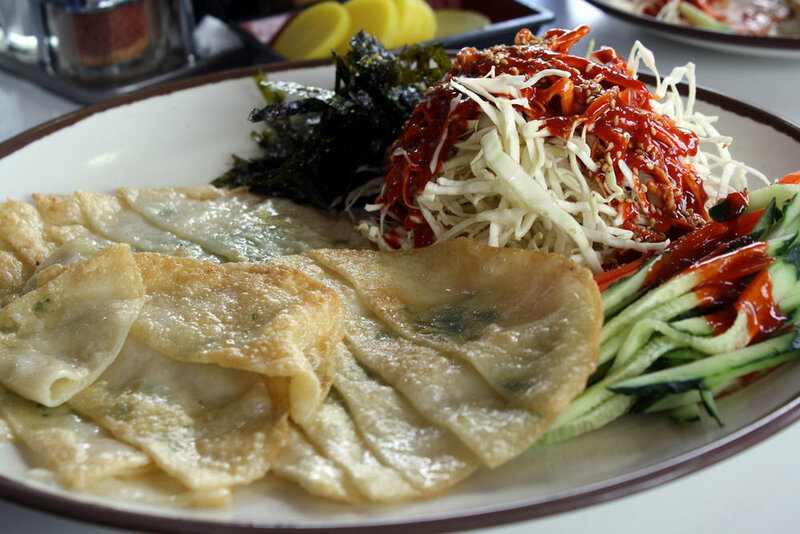 As expected, you can find vegetable- and meat-filled options, but on some menus you'll see a fried dumpling that is actually stuffed with sweet-potato noodles! 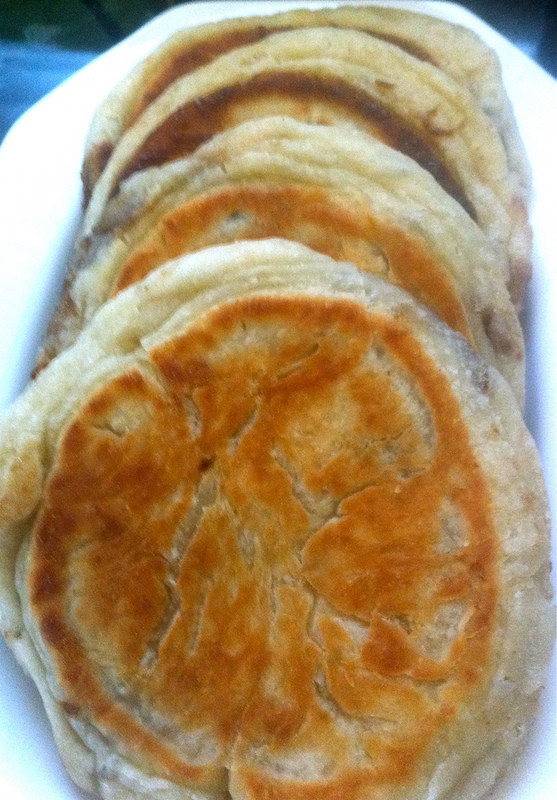 Pan-fried pancakes – but filled with peanut, cinnamon, honey and brown sugar. This would be great for an evening dessert, but of course an excellent breakfast for an activity-packed day! These are kind of like the Okonomiyaki "pancakes" famous from Osaka, Japan, but these are a little smaller and have more structure to them. They're made from ground mung beans and filled with vegetables (and sometimes pork), onion, and kimchi, then deep fried and salted, and served with a vinegary dipping sauce. 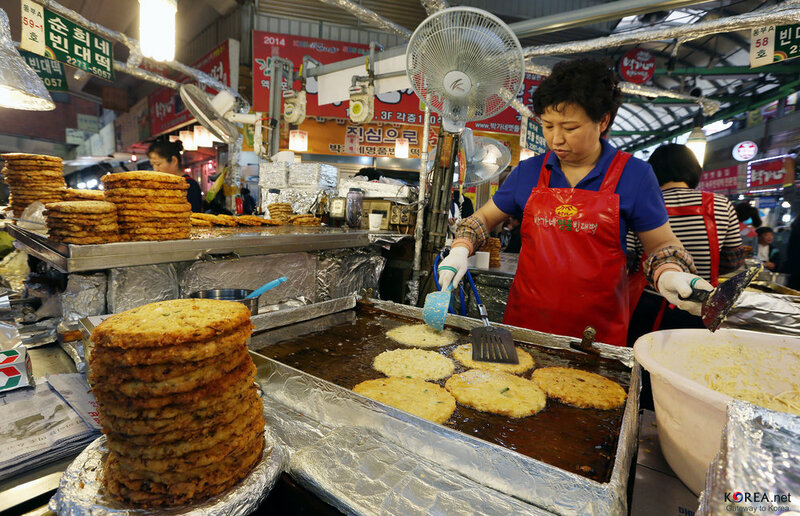 You can eat them with a knife and fork, or put a wrapper around them and have them while you walk around a night market. 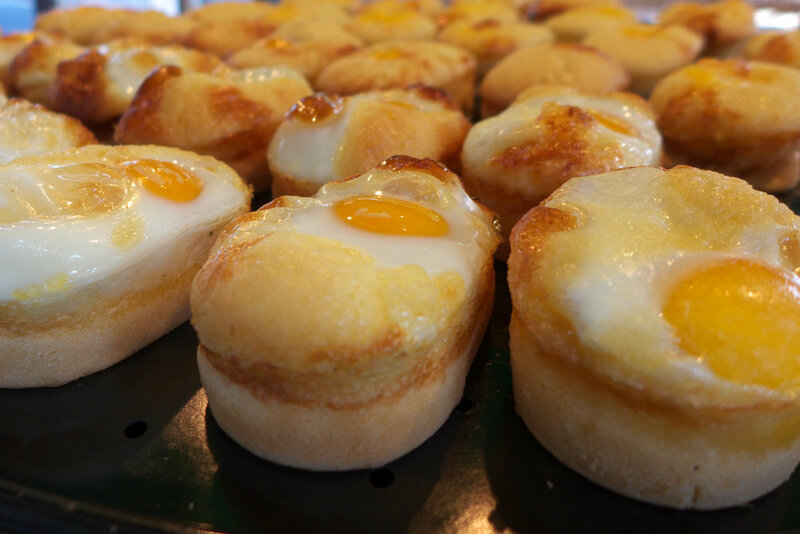 The root of this word, "amppang", means bread (and sounds like the Japanese word meaning the same thing) - and "gyer" means egg. The bread is rich and sweet like a brioche, and before the little loaves are baked they slice a cut along the top and crack an egg into it. It's all baked together so you get something like a deconstructed French Toast when you bite into it! In Beijing we recommend the zhajiang mian, a very similar dish with wheat noodles and thick sauce, and when you sound out the names the relationship makes even more sense. 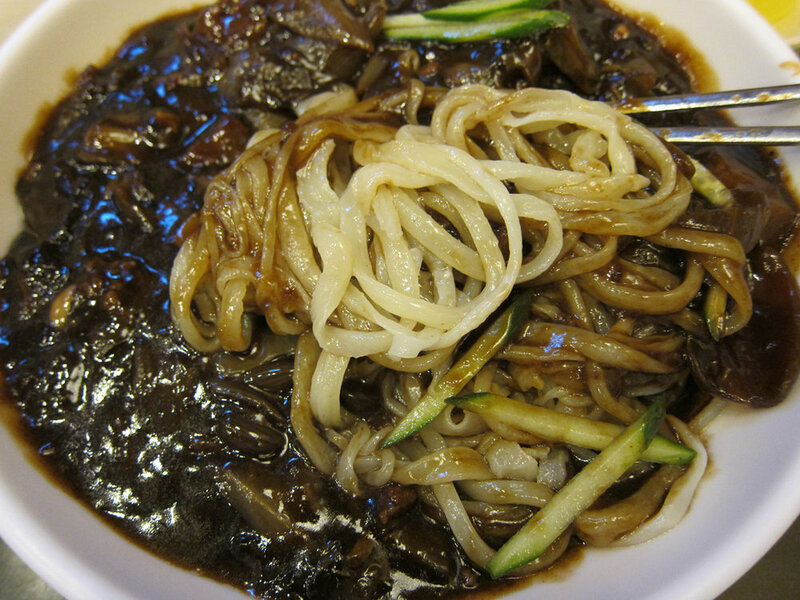 But the Korean version has an even thicker, meatier sauce, and some places will make it so dark the noodles disappear! 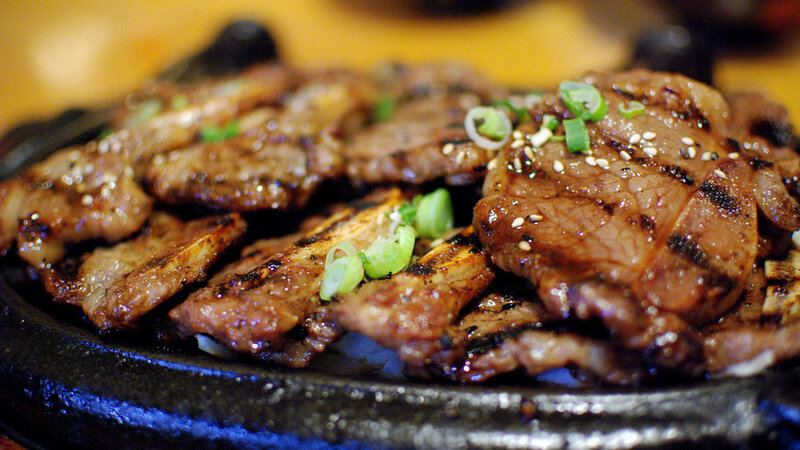 This is great with grilled meat, and considered to be one of Korea's most traditional "home-cooking" meals.